There is absolutely NO historical proof of Eckankar. If it really existed since the beginning of time there would be some traces somewhere. But there aren't. Paul Twitchell plagiarized his original books on Eckankar. This is easily provable. Just compare Twitchell's books against those he stole from which were published many years before his books were published. Do you really want to follow an organization and its leaders who base their entire work on a stack of lies and deceptions? Since when do you have to PAY to belong to a religion??? Eckankar doesn't make any sense. It is a collection of ideas and teachings from numerous sources riddled with conflicting information. It's not cohesive. Eckankar's answer to this is that you're just not ready to understand. That's right, you are an idiot for using your common sense. Harold Klemp is a former mental patient. Come on! Think about this! Paul Twitchell was a known compulsive liar. You need to study the mind and its capabilities BEFORE you start believing in the Eckankar dogma. You owe it to yourself. The mind is capable of creating delusions that you will swear are real. Don't underestimate the creative power of your mind. Take a good, close look at Harold Klemp. He is NOT NORMAL. Look at his eyes and the way he speaks with pursed lips. His cadence is sickly. His demeanor is ill. He is a sick individual. Any normal person can see this quite clearly. Eckankar claims that all great people from the past were Eck masters or tutored by Eck masters. Isn't this a little suspicious. In many cases these claims are downright stupid and ludicrous because if you know anything about history you will know that those figures Eckankar lays claim to were horrible people, like Alexander the Great and Columbus. These people were butcherous. Eckankar's writings are full of contradictions, ranging from disputes on Paul Twitchell's birth date to where a Living Eck Master is supposed to be born. The teachings say that they are born from a virgin mother. Besides sounding tiresomely familar, the last three Living Eck Masters came from flesh and blood, with mothers who had real names and fathers who worked for a living. Secrecy. What can you say about secrecy. Secrecy is a sign that somebody's up to something that needs to be hidden. If you don't think eckankar is just as nasty as Scientology, then think again. It is all a lie, but the problem is that the members, like I used to be, don't do ANY homework before joining to know that it's a sham. We're ignorant and maybe that's our fault to a degree, but be assured that Harold Klemp, a known mental case, is pulling the wool over your eyes. Just go to the library and read for a whole year and then for certain you would never join this or any other group. Eckankar is a shameful mix of partial truths and lots of lies. In the upper eschelons, they are laughing all the way to the bank. I was in Eckankar for 12 years and know what went on at the top. It's pure junk invented by an ignorant country hick named Paul Twitchell; a guy whose own books contradict each other because he couldn't even remember well enough to promote his own lies successfully. Twitchell was one of the greatest plagiarists of this (or any other) century, and much of what he "wrote" was actually material he blatantly copied word for word from the published works of legitimate authors. One of his more popular early books was The Far Country, which alone carried over 400 solidly-documented stolen paragraphs, complete with typos and syntax errors. His other books all follow in the same pattern. He claims these ancient and most secret teachings were taught to him by a 500 year old Tibetan lama named Rebezar Tarzs, who would appear to him in his apartment each night and dictate the truths. The real truth is that he found his material at the local public library, in the metaphysical section. His most important book, The Tiger's Fang, was a purported journey he took deep into the inner planes, escorted by Rebezar Tarzs, and was taken to meet God directly. Alas, like the rest of his works, much plagiarized material is to be found in this book, (Walter Russell's "The Secret of Light", as an example), as well as the standard cosmologies taught by Sant Mat and Radhasoami. There's serious doubt about his credibility, with so many stolen passages being claimed as his own experiences, when, in fact, they were the experiences of other authors. It's quite clear the real sources for his "secret" teachings were the published works of authors like Julian Johnson, Neville, L. Ron Hubbard, Lama Govinda, Walter Russell, Swami Premananda, Kirpal Singh, Annie Besant and many others. 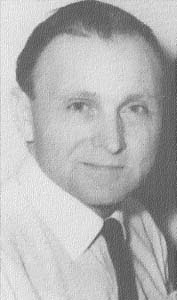 He worked for the notorious L. Ron Hubbard for a period of time in the 1950s and was instrumental in recruiting people into that questionable organization. What he learned in Scientology, he freely applied to his own invention Eckankar. His official biography, In My Soul I Am Free, was written by Brad Steiger (the UFO chaser) and was sold by Eckankar for over 30 years and has been found to be an almost complete fabrication. Professor David Lane stripped away the facade of Eckankar with his writings and also interviewed scores of people who had known Twitchell. It was just about unanimous that Twitchell was a compulsive liar since childhood and is a highly unreliable source. With so much evidence that Twitchell was a world-class liar, this presents the student of Eckankar with an uncomfortable issue to struggle with. If a teacher can't be trusted to tell the simple truths of his own life, what makes a student think he's telling the truth about the inner worlds of Spirit? Would you buy a used car from this man?